The timing is perfect. 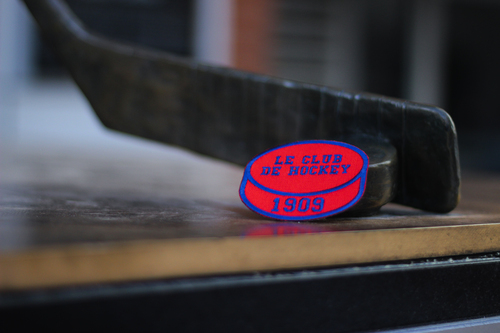 In the midst of their greatest start in team history, le Canadiens De Montréal are insipiring the faithfuls who bleed bleu, blanc, rouge to manifest their support. 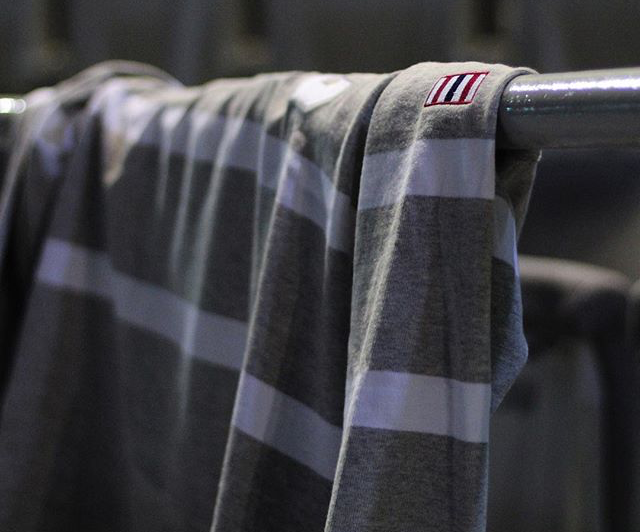 Hockey is more than just alive and well in the city, it is roaring and boastful. 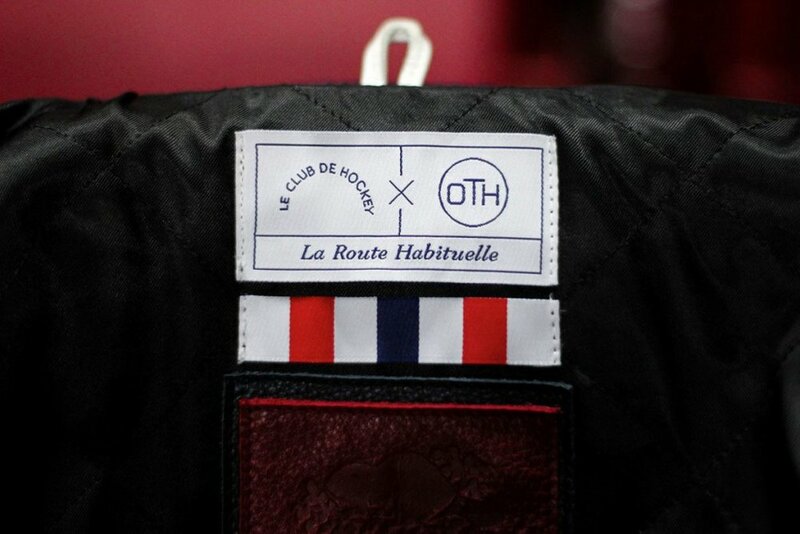 The second installment of the CH x OTH capsule collection by OFF THE HOOK comes to us just at the rightest of times. 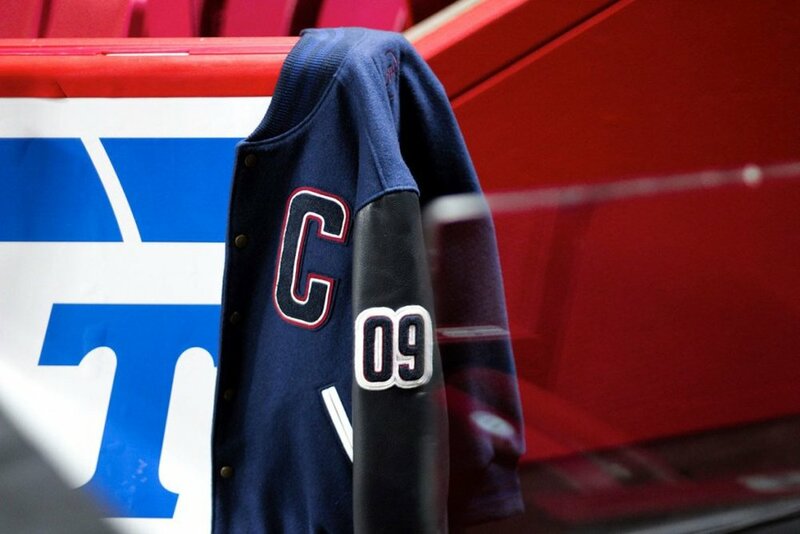 Offering that somewhat delicate blend between fandom and class, the designs for this new season emphasizes why this collaboration between two of Montreal’s finest is undeniably necessary. 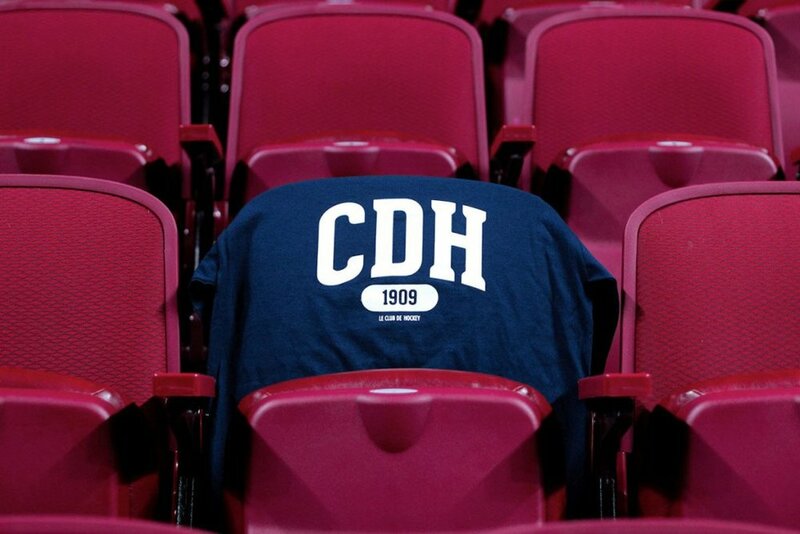 The new collection is comprised of a new t-shirt with a “CDH” logo that nods to the team’s name, le Club de Hockey. 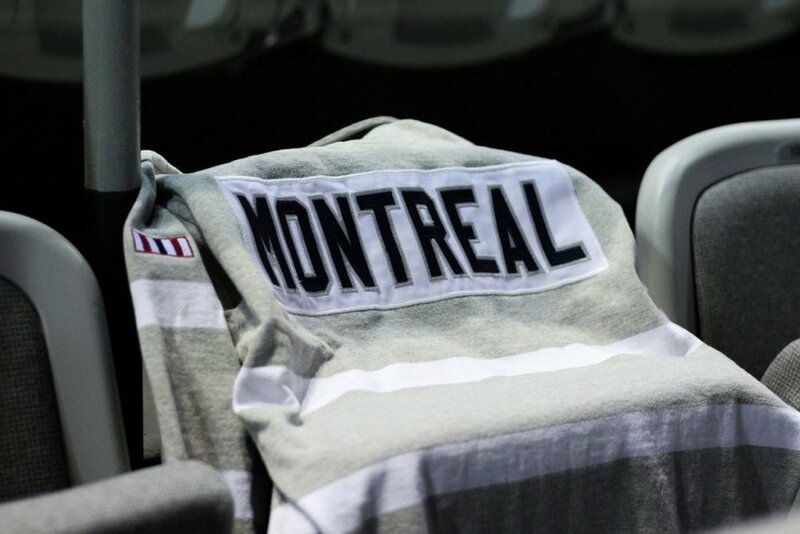 Also within the line is a re-imagned version of the popular rugby jersey produced in Canada by Barbarian, this time in grey and white tones. When I saw the pictures of this rugby, I reacted with a drawn out f-bomb. It is so, so nice. A great set of accessories are also part of the collection. 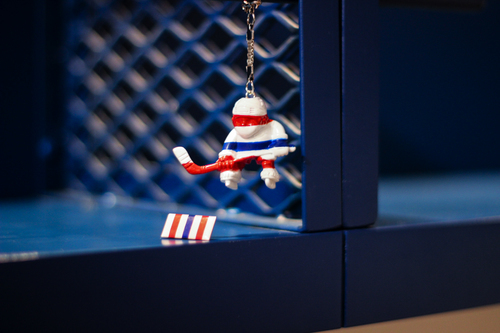 A figurine keychain with the CH x OTH tri-color stripe, as well as two patches round out what would make the perfect set of fanfare for any Montrealer. 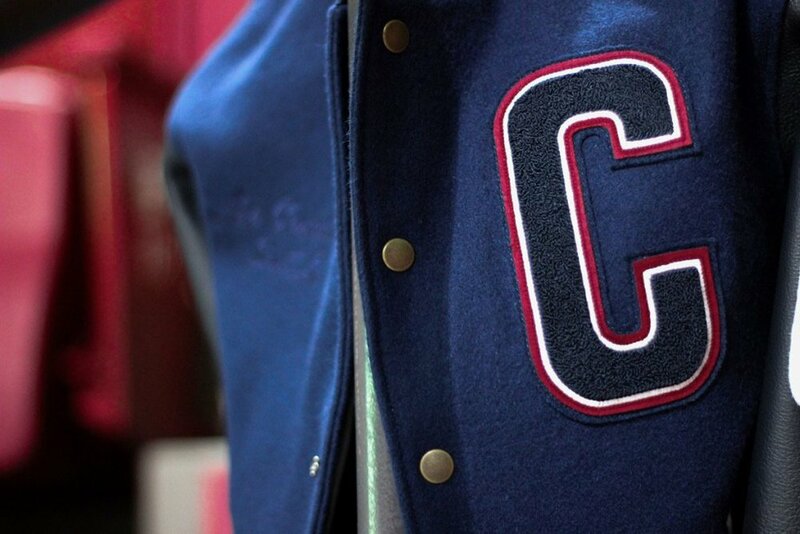 Saving the best for last, I could only take a moment as I went through the details of the varsity jacket manufactured by ROOTS. 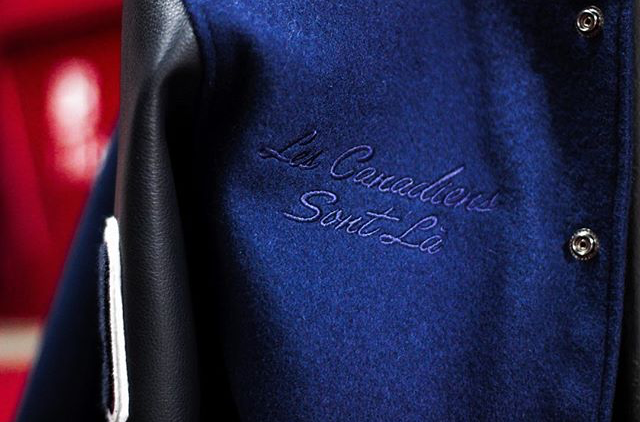 Each jacket sports customization with the owner’s initials embroidered along the inner lining. 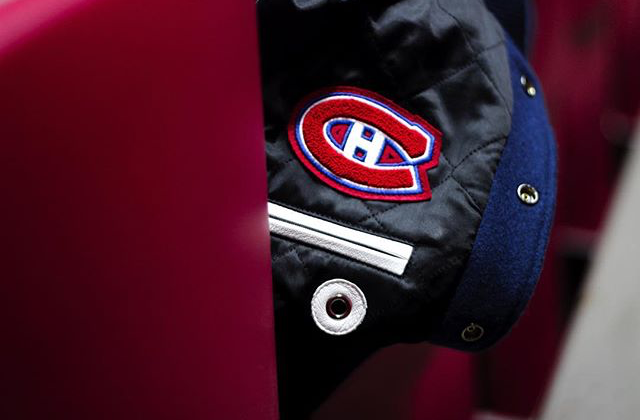 Go Habs Go! The Brag Family is excited to be in attendance at the collection launch this Wednesday, November 4th. 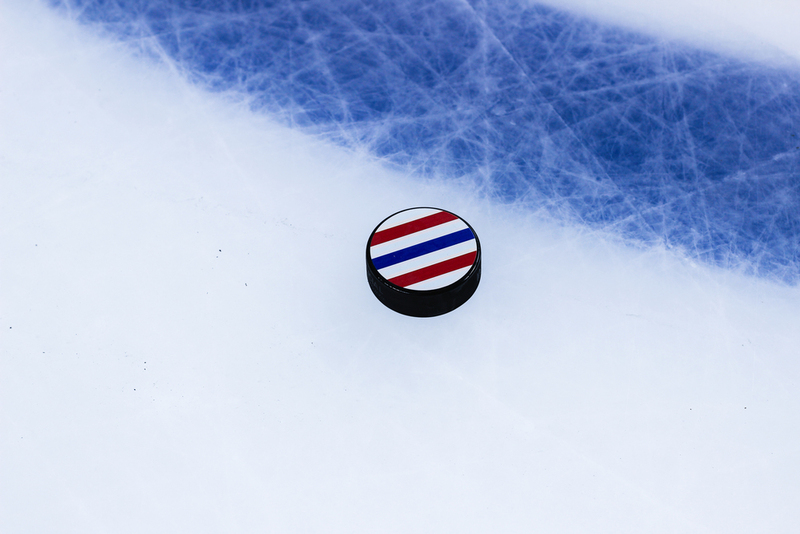 The invitation, a personalized puck with CH x OTH branding comes in the mail and you immediately want to fist pump and glide across the ice. Once again this sets the bar so very high for all other event invitations to come. 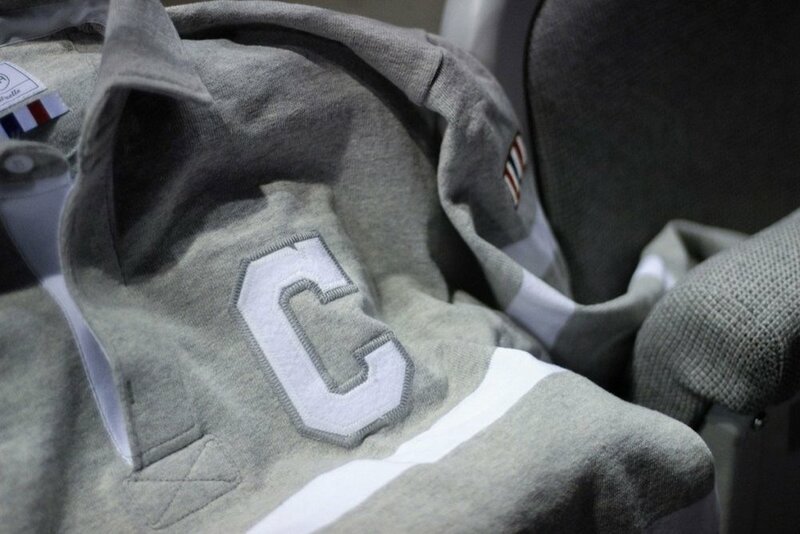 The second season of the CH x OTH line will be available as of 10am EST on Thursday, November 5th, 2015 at OFF THE HOOK in-store and online.